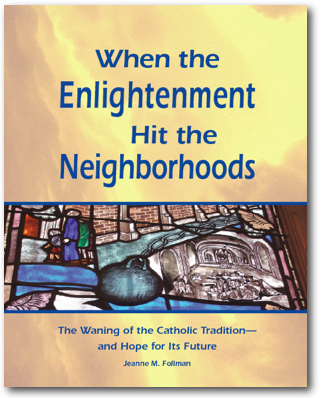 The print and ebook (Kindle) versions of When the Enlightenment Hit the Neighborhoods are available for purchase online at Amazon	in the U.S. and from Amazon in the United Kindom and Ireland, France, Germany, Italy, and Spain. Canada: The book is listed but not actually available on Amazon.ca, so it's best to order through Amazon.com. Print and ebook (EPUB) versions are available at Barnes and Noble. The print version is also available for order through Barnes and Noble and other local bookstores. The ebook (EPUB) is available in the U.S. and a number of other countries at Kobobooks. The ebook (EPUB) is available in the U.S. and a number of other countries through iTunes (link takes you to an iTunes Preview; then click the View in iTunes button or launch iTunes and search on When the Enlightenment Hit the Neighborhoods. Email a Friend About This Book! All contents Copyright © 2014 Duomo Press. All rights reserved.